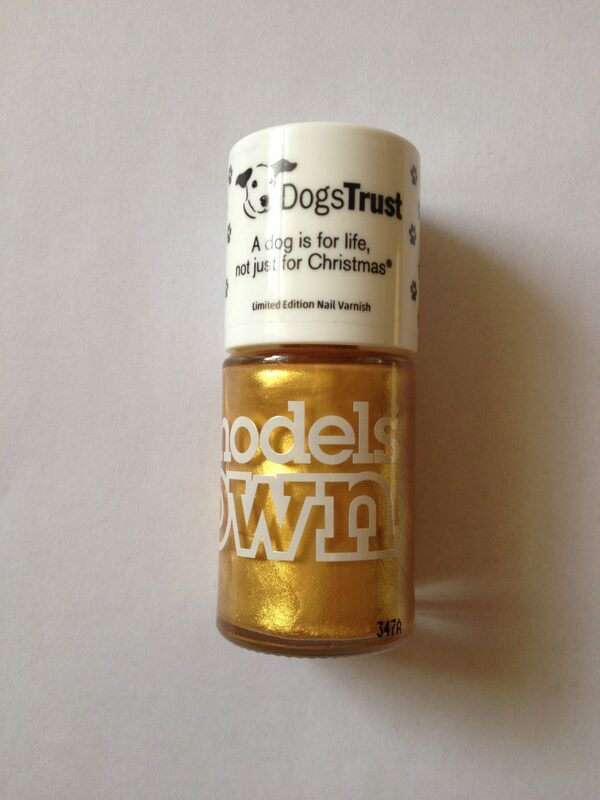 Dogs Trust and Models Own have teamed up to create a limited edition nail varnish, just in time for Christmas. Dogs Trust cares for a staggering 16,000 + stray and abandoned dogs each year, and this festive season, staff will be working around the clock looking after the 1,500 pooches based in their 18 rehoming centres around the country. With this in mind, there’s no better time to remind ourselves of the slogan, “A Dog is for Life, Not Just for Christmas.” This 35-year old (is it really?) message is unfortunately still completely relevant as many dogs are abandoned around this time of the year. Want to help? Then visit www.dogstrust.org.uk/shopping and snap up the limited edition Models Own nail varnish in 25 Carat Gold (£5.50 plus £1 P&P) – all profits from every bottle sold will be donated to the charity. Models Own never test their finished products or ingredients on animals so you can wear the polish on your paws with pride, knowing you’re doing your bit for a very worthy cause. I should also point out that the nail varnish is for humans only and should not be used on your furry friends. Thank you very much, that is so sweet of you!